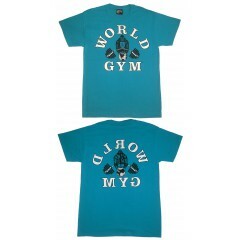 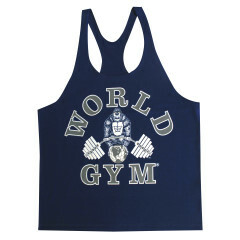 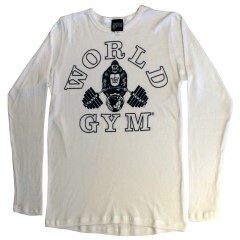 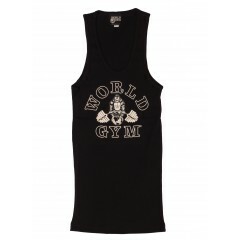 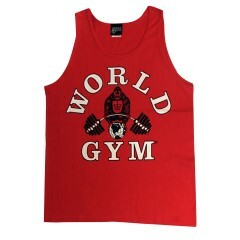 World Gym shirt made from a special acid washed 100% cotton fabric called a burnout tee. 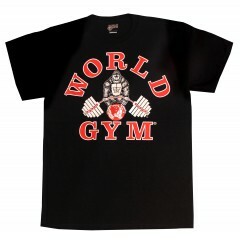 It's a popular muscle..
with the World Gym gorilla logo sweatpants are 50/50 cotton / poly fleece. 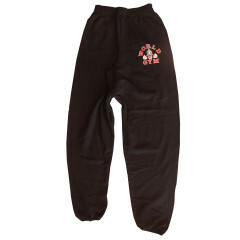 These pants have an..